Tuesdays used to be a big, big deal for me. I would see somewhere weeks ahead of time that a record was set to release on a particular Tuesday. The date would be marked on my calendar immediately. I’d count down those days, insuring that I had the money in my account to make that purchase (and a few others) on the day of the release. There was a time in college when I’d even wait in line at midnight to pick up certain albums as they were released to the public. I don’t know why I had to have those albums right then. I just did. Eventually, I learned that my favorite record store sold the new album’s promo copy days before the official release. It was technically cheating, but I didn’t care. Whatever I could do to get that new release in my hands was fine with me. Things changed around the time Napster rolled in. Maybe it was because the record industry told us it was stealing as they sued unwitting college kids for ten times their tuition or it was my steadily growing income that kept me from pirating my favorite bands’ music. Whatever it was, I realigned my trips to Used Kids with the Tuesday release schedule. Right up to maybe eighteen months ago, I was going to the record store religiously every Tuesday. As I grew older and had more responsibilities, I had less time to read the magazines and blogs in order to know what was coming out when. So, it was a surprise every week. Then, I discovered Insound and the pre-order. Now, as release dates are announced, I put in orders for three or more records at a time, spread out over a couple of months. The UPS lady thinks I’m a DJ I get so many records these days. They’re always shipped several days before the release day and usually arrive by the weekend prior to the designated Tuesday. Even with this little end-around maneuver, I look forward to giving every record it’s due time by it’s release Tuesday. I developed another hobby which involved release dates. Craft brewers like to do big PR campaigns whenever they bottle something new. Blogs start hinting at bourbon barrels, collaborations between breweries, and copious amounts of hops being dumped into brew kettles for weeks. Then, out of nowhere, much like a Pitchfork leak of an album cover, the label is posted somewhere. I drool much the same way when I heard Built to Spill or Pavement had another record on the way. The difference between craft beer and music is that breweries have their own version of Tuesdays. Sometimes they’re Wednesdays, Thursdays, Fridays, etc. A beer could be released on a Monday in Denver, but we won’t see it in Missouri for another two or thee weeks. Sometimes, it takes months to get a new release. The practice of waiting on Tuesday for record geeks just doesn’t equate for beer geeks. That is, until this Tuesday here in Columbia, MO. As word spread that Bell’s of Kalamazoo, Michigan was planning on releasing their insanely hoppy and hyped double IPA early this year, the collective beer community waited patiently for word of the beer’s arrival. I mean, with a name like “Hopslam,” it’s no wonder why hopheads across the nation long for this annual release every year. We here in Columbia (aka COMO), knew our day was Tuesday. For me as a record geek, the arrival of one of maybe my three favorite beers in the world made me feel right at home. I wasn’t swinging by the record store, scoping shelves for new arrivals, but I was bugging grocery employees for any information I could garner regarding the sweet, sweet nectar that is Hopslam. When the day arrived, it was all I could do to wait and try my new purchase. When I still bought CD’s, I’d remove the cellophane and pop the disc directly in the player, take the long route home, and listen away. Beer doesn’t quite work that way. There are “rules” about not opening the beer in a car as well as “suggestions” not to consume while driving. I even had to wait until my work day was over to enjoy this year’s release. And like a great new album by one of my favorite bands, Hopslam doesn’t disappoint. Last year’s version was an over-the-top hop bomb that punched you in the face with grapefruit and cat piss. Unbalanced for some, I enjoyed the beer immensely for its aggressive style. However, this year’s beer impresses me even more. It’s so well balanced with a more pronounced honey and malt presence, somewhat missing from last year’s fresh version. Either way, the hype and the wait for this beer makes this annual event a lot of fun. Release dates – whether for beer or records – is a religious experience. My Tuesday is a Christian’s Sunday or Jew’s Saturday. Tuesday is my Sabbath. It’s the birth and rebirth of my savior rolled into one day of the week, every week. Even when the UPS truck arrives on Monday or that new Southern Tier imperial stout drops on Friday, Tuesday is the day I worship. And isn’t that what religion is about? It’s about practices that bring peace and calm to your life. I don’t pray to a god. 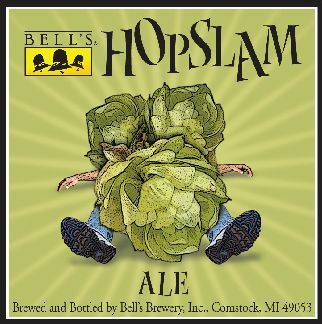 I crack open a Hopslam, take in its Simcoe nose and roll the malt and honey over my tongue. I tear off the cellophane from a newly-arrived LP and drop the needle before leaning back. These things bring me peace. These are the times I can reflect upon and feel OK with the world. Tuesdays do all that for me. Welcome back! Now I want to drink beer at noon on a Thursday and it’s all your fault. 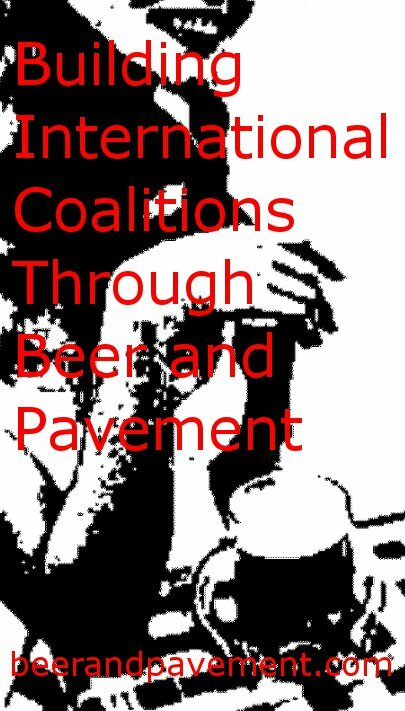 I was planning to start the same blog — only it was about Pavement and sausage! Foiled! Okay, you win, the-artist-formerly-known-as-CP. Good luck.